TIGER WOODS makes his second competitive appearance of the season at the Genesis Open at Riviera. You may remember that it was at this tournament 12 months ago that we all began to doubt the voracity of his comeback. We should have known better, of course. He had played all four rounds at the Farmers Insurance Open at Torrey Pines, but looked out of touch. In his first appearance at the event since 2006 Woods missed the cut, just one of two (US Open) missed weekends all season. Prior to that he had eight top-20 finishes at Riviera, including runner-up finishes in 1998 and 1999. Riviera Country Club was the site of Woods’ first PGA Tour event way back in 1992, competing on a sponsor’s exemption as an amateur. Woods’ TGR Live manages the Genesis Open and proceeds from the tournament benefit his foundation, so there was never any doubts about his participation this season. 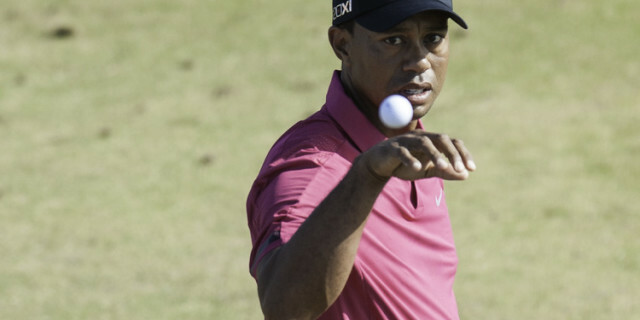 “I’m looking forward to being back in Los Angeles for the Genesis Open,” Woods said. “It’s always great to be able to play at Riviera and I am very proud of the impact the Genesis Open has been able to make on education through my foundation.” Every year this event makes a significant impact in the Southern California community. Youth benefit annually through access to the game of golf during the tournament, in addition to the thousands of local students participating in STEM education and college-access programmes of the TGR Foundation. Woods, of course, went on to enjoy a memorable season, and will be hoping for a rather better performance at Riviera this time. With all due respect to Woods, three men have dominated this event in recent years - Bubba Watson, Phil Mickelson and Dustin Johnson. Watson won 12 months ago for his third victory in the tournament, Mickelson has won twice and finished runner-up twice, and Johnson has won it once and finished second twice - and he also had a great chance to win it 12 months ago. Last year provided an emotional victory for Watson - is there any other type when it comes to Bubba? Love him or hate him, it is impossible to ignore him. He had endured a miserable couple of years and then, from nowhere, won three times in 2018, including a superb performance here. Watson seized control in the final round with two par putts as everyone around him was dropping shots, then pulling ahead by holing a bunker shot on the par-three 14th hole. He closed with a 2-under 69 for a two-shot victory over Kevin Na and Tony Finau. And, of course, it all ended in tears of joy on the 72nd green. It was his first victory since he won at the same course two years earlier, a success that saw him climb to the fourth in the world rankings. When he teed it up in 2018 his world ranking had tumbled to 117 and he was in the depths of despair, even admitting to discussing retiring from the game with his wife. He joined Ben Hogan and Lloyd Mangrum as three-time winners at Riviera, although Hogan's victories include a US Open. Na hit a wedge close to perfection from the worst angle on the reachable par-four 10th for a birdie and two-putted for birdie on the 11th to briefly take the lead. He fell back with consecutive bogeys, while Finau was there or thereabouts all day until leaving an eagle putt short on the 17th - it turned out to be the story of his year. Patrick Cantlay had a one-shot lead going to the back nine until he ran into tree trouble on the 12th and 13th holes. He then parred in to tie for fourth with Scott Stallings (68). Phil Mickelson had also excited the huge gallery when he moved to within one shot of the lead until he came to the 15th, where he went for glory with a four iron from a bunker, missed the green and then watched his birdie attempt roll off the green, costing him a bogey and ending his chances. He eventually finished sixth. For Watson it was his 10th PGA Tour title and it meant a great deal to him. "My goal was always been to get 10 wins. There were so many emotions going through my head after I won," Watson said, choking back tears. "You never know if you're going to play good again. You never know if you're going to lift the trophy.” He finished at 12-under 272 and moved to No. 41 in the world. 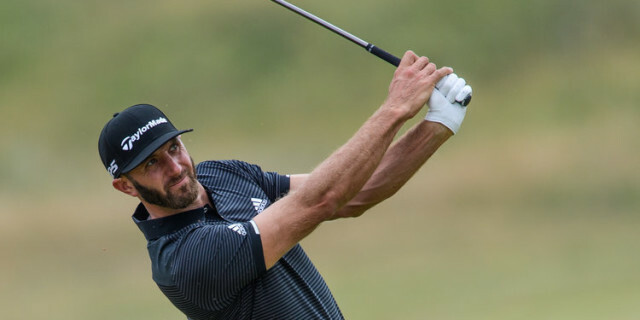 Defending champion Johnson, starting the final round four shots behind after a 64 on the Saturday, made a double bogey on the fifth that effectively ended his chances. He had taken a triple-bogey on the same hole in the first round. Twelve months is a long time in professional golf, and Watson has looked a shadow of the man who enjoyed so much success in 2018. His idiosyncratic swing has more moving parts than a car engine and it stands to reason that he is a player who is always going to go through spells when he struggles. But he possesses an amazing feel for the game and is able to fade and draw the ball at will with every club in the bag. He is still one of the biggest hitters on the PGA Tour, but he does miss an awful lot of fairways. His big problem at the moment is his putting. He has always had a magical touch on the greens but it seems to have deserted him and he is currently using a longer putter that he anchors against his right forearm. It looks completely unnatural and he is clearly struggling to find any rhythm or feel on the greens. It was won in 2011 by Aaron Baddeley, in 2012 by Bill Haas, in 2013 by John Merrick, in 2014, 2016 and 2018 by Watson, in 2015 by James Hahn and in 2017 by Johnson. Unsurprisingly, there is a star-studded field and there will be a great deal of attention on Tony Finau. He had an incredible time in 2018, reeling off top-10 finishes for fun and being chosen by Jim Furyk for the US Ryder Cup team. Finau is a hugely impressive physical specimen. The American hits the ball out of sight and seems to have no weaknesses but he will be conscious of the fact that he kept playing himself into contention last year without being able to finish off the job. To be fair to him, he didn’t throw anything away but when the chips were down he was unable to find the birdie putts that really mattered. Most pundits believe that when he does finally getting into the winning habit then he will become a regular winner. 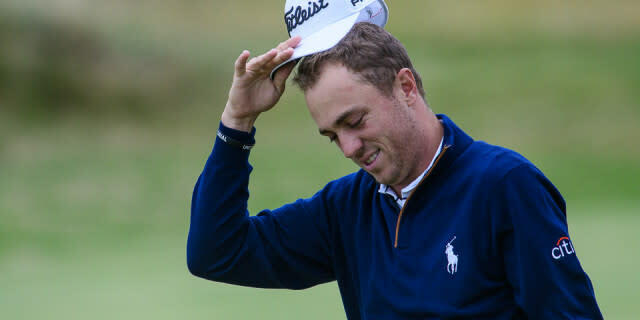 If he needs any tips about how to win a golf tournament then he could do a lot worse than having a word with Justin Thomas, his Ryder Cup teammate. Thomas is a machine. Week after week he finds himself in contention and you just know that if you see his name on the leaderboard then the chances are that he is going to win. There may not be much to him, but he propels the ball huge distances and is incredibly accurate. As Thomas will happily tell you, golf is a much easier game if you are hitting second shots from the fairway. He has many strengths but his greatest is undoubtedly his wedge play. Put any sort of wedge in Thomas’ hands and you can bet a week’s wages on him knocking the ball within six feet. Again and again and again. 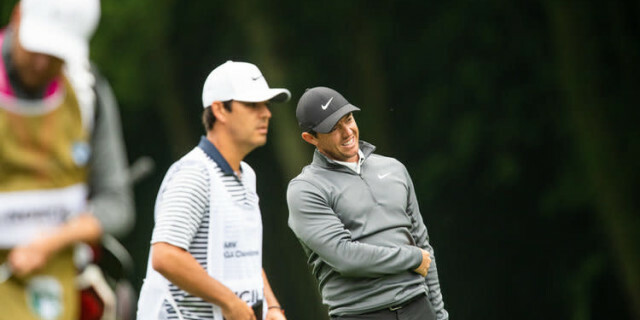 There will also be much focus on Rory McIlroy as he attempts to fine-tune his game ahead of yet another attempt to win The Masters in April and finally complete the career grand slam. As everybody knows, the Northern Irishman is one of the longest drivers on the PGA Tour but he is increasingly struggling to find fairways. And a recent look at his statistics revealed, somewhat surprisingly, that he is one of the worst on tour when it comes to getting up and down from green side bunkers. McIlroy has attracted a great deal of criticism by announcing that he intends to play almost all of his golf on the PGA Tour this year. The best way to answer his critics, of course, is for him to start winning tournaments. Rory McIlroy. Come on Rory, show us what you are made of. Bryson DeChambeau. A winning machine. Justin Thomas. As consistent as they come. Rory McIlroy. Needs to start winning. Bryson DeChambeau. Not everybody's cup of tea but what a player. Tony Finau. Ready to pick up where he left off. Xander Schauffele. Hugely impressive young player. Tommy Fleetwood. Desperate to make an impact in the US. Jon Rahm. Impossible to ignore. Francesco Molinari. Will be fascinating to see how he performs in 2019. Matt Kuchar. Incredible start to the season. Jordan Spieth. Coming back to his best. At last.